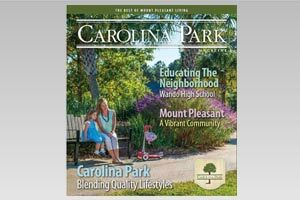 Ocean Ridge Plantation In beautiful Sunset Beach, North Carolina, is sandwiched between historic Wilmington and the Grand Strand that stretches north and south of Myrtle Beach. Home to five championship golf courses, Ocean Ridge Plantation is a golfer's dream, offering diverse challenges to fit anyone's skill level while providing an unforgettable and exhilarating golf memory. The magnificent entrance leads to a stately guardhouse that is the portal to a wonderful experience. Once inside, you experience a sense of awe as you drive by the gorgeous residential homes, fountains and lakes. The sweet smell of newly mowed grass only adds to the ambience. The premier courses are aptly dubbed, "The Big Cats." They consist of Lion's Paw, Panther's Run and Tiger's Eye, and they are all stunningly landscaped with tree-lined fairways, serene lakes, azaleas, dogwoods and rhododendrons. The manicured greens, serpentine dog-legs and undulating fairways underline the beauty of the courses. Two other Big Cat courses, Leopard's Chase, which has just been completed, and Jaguar's Lair, scheduled to open this spring, will offer 90 holes of professional golf that will provide an endless variety of challenges for all players. The awards garnered by the courses are impressive. 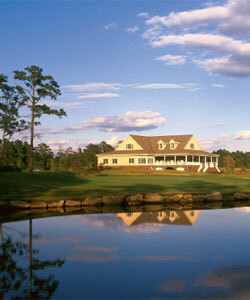 Panther's Run has been selected as one of the "Best New Courses in the Carolinas" by several publications. Its designer, Tim Cate, tests your ability to stay out of the surrounding marsh areas. Wide fairways that twist and turn with a variety of elevations, plus may scenic water hazards, make this course one of the most innovative in the area. Tiger's Eye was voted the 41st Best Public Course in the United States and sixth best in North Carolina by prestigious Golf Digest. Its 60-foot elevation changes and twisting TifSport Bermuda grass fairways present golfers with a variety of lies along scenic water venues. The large, notoriously slick G-2 bentgrass greens require both caution and patience. Adding to the ambience are acres of wildflowers and other indigenous fauna, an island par-3 and a stunning waterfall. Ocean Ridge Plantation currently features three beautiful state-of-the-art clubhouses, complete with putting greens, award-winning pro shops, executive meeting rooms and full-service restaurants. Once Jaguar's Lair is completed, Ocean Ridge will boast four clubhouses. With all that Ocean Ridge offers, it is no wonder this complex has become an absolute must for the legion of golfers who descend upon the area.